Only 2 miles from Casalba is another vineyard we visit: Tavignano. Apart from exporting, they sell wine to personal visitors either bottled or “en vrac”/”sfuso”. Tavignano is run by a noble couple and their excellent sommelier P.
It is always an event when we visit. I love the setting and the decor. 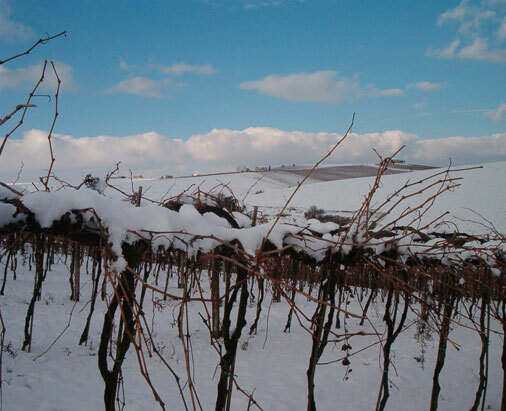 Tavignano has won many national and international prizes for its wine. …but I would add these words: good taste! For the setting, the decor and, above all, the wine. 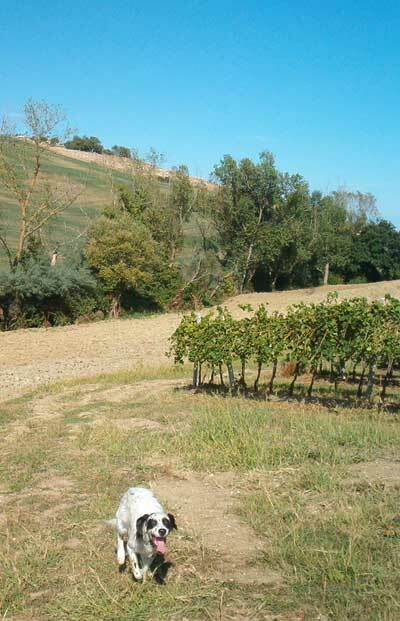 September was a month of two halves in Le Marche. August’s long, long hot days carried on and on until, midway through September, it finally rained for two whole lovely soggy days. After this the temperatures dropped, but for a few days we still had some glorious sunshine. 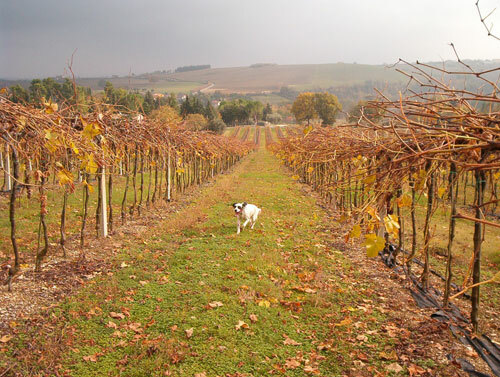 During these days it was impossible to ignore the commotion in the vineyards, so B. and I went along for a nose about. It was the vendemmia. We stopped and chatted with the harvesters and I asked whether this was going to be a good year for the Verdicchio. Yes, apparently it was and I was given some grapes to take home. The skin was fairly tough and rather tart, but the flesh was contrastingly sweet and very juicy. Now the temperatures have dropped again and, although today there’s a refreshing drizzle, it’s neither cold or wet enough to stop me from weeding the herb garden. 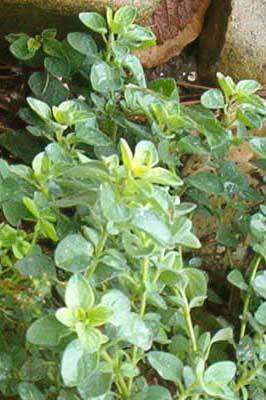 OreganO begins and ends with an ‘O’. If you’re wondering why I’m spelling that out, you can check out Bleeding Espresso where all will be made clear. I preserve oregano in two ways for the winter months to come. 1) Chop it with a mezza luna and crush it together with sea salt before packing the mix into a jar. 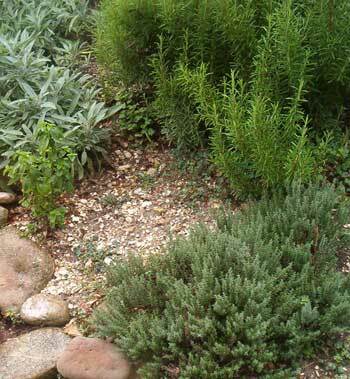 2) Make herb oil by bruising the cleaned leaves and bottling with olive oil. So that’ll be OliO with OreganO. Moreover, they aren’t all planted in straight up and down lines; every now and then you come across a section which is layed out at a different angle. Question: Have I been down here before? 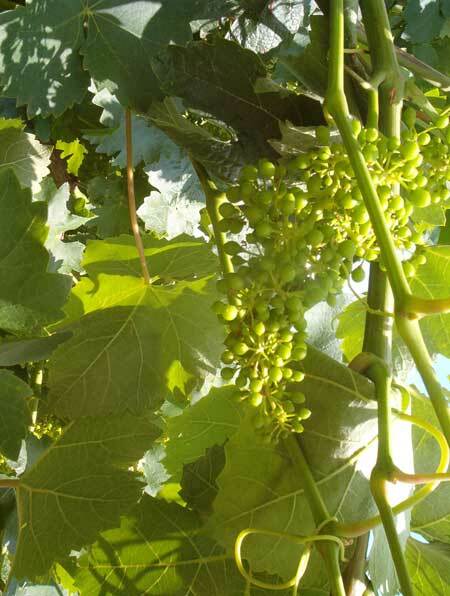 Answer: Not sure, one line of vines looks very much like another. We are surrounded by acre upon acre of vineyards at Casalba. I used to get lost in them: think of the maze at Hampton Court and then cross that with a small county. 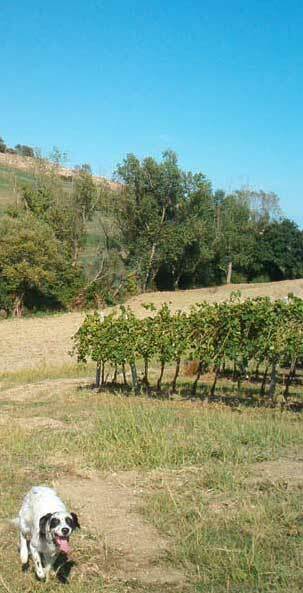 There are some very fine local red wines, but this area is most famous for its crisp white Verdicchio. 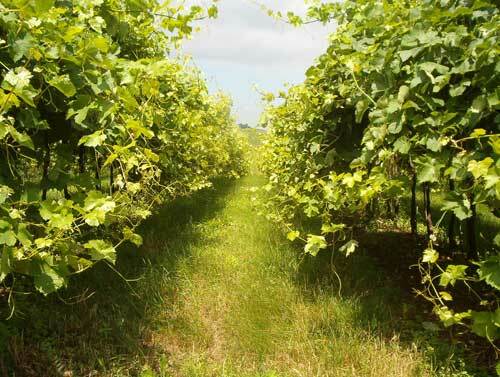 We buy our wine direct from the local producers. We just pitch up with empty demi-johns and get them filled ‘petrol-pump’ style. Our favourite is ‘Vignamato’ not only for the quality, but also because it is run by Maurizio and Serenella, a lovely couple who are passionate about tending their vines and making their wine. They are, rightly, very proud of their product and we often visit their ‘cantina’ with guests when Maurizio is happy to share his somelier knowledge. The local producers hold ‘Cantine Aperte’ every year on the last weekend in May when you can visit the vineyards and taste their wines. It’s a sort of free pub crawl and great fun, but best to nominate a driver first.